Dear knights, dames and peasants, far be it for this lowly quill-driver to launch inquiry upon the pronouncements of Her Majesty’s most loyal subject, Sir Tony of the Order of The Red Speedo. Upon our oath, only knaves and sodden-witted loons would quibble that Sir Tony’s decree to restore knighthoods and damehoods was inspired. Why, ’tis no giant’s leap even for Edward Obeid to upgrade from his present order of chivalry. In truth we speak! Yea, a Medal of the Order of Australia was bestowed upon noble Edward by Her Royal Highness in 1984. ‘Tis to a matter of greater import tho that we attend this day. No, not the taxpayer funding of merry officers of Australian Water Holdings at pole-dancing taverns, rather, the vending of Medibank. Forsooth, the sale of Medibank is hearty news for the gravy carriage of merchants, lawyers and other fee-hunters. 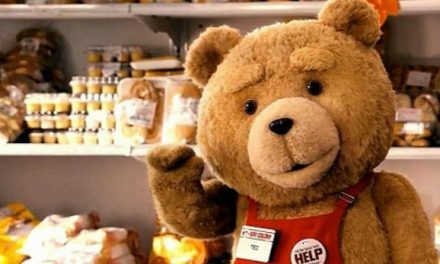 For the humble shareholder, too, it augurs well – assuming a reasonable price. Here is an industry hell-bent for consolidation, replete already with high returns on capital and commendable margins. For Medibank there is still much in the way of lard to be excised and smaller rivals to be preyed upon. If privatisation is the harbinger of risk-based healthcare, if regulation is enfeebled, trouble awaits. In the opening scene of Sicko, an entertaining Michael Moore documentary on the US health system, a country boy, Rick, tells how he accidentally chopped off two of his fingertips with a saw. Rick had a dilemma. The price of surgery to recover his middle finger was $US60,000, the price for his ring finger a mere $US12,000. He could not afford both. So he opted, with a romantic touch, to have his ring finger fixed. His other finger now resides in a tip in Oregon. Rick’s story, and a million others in the US, are a salutary reminder of something we take for granted, healthcare. Ours is a community-based rather than a risk-based system. There is an equalisation fund that allocates capital among the health funds. There is ”portability”, too, so members can move between funds. This means health funds compete but they also subsidise one another. Otherwise, the game would be to cherry pick young, healthy customers and charge the old and the sick a king’s ransom. 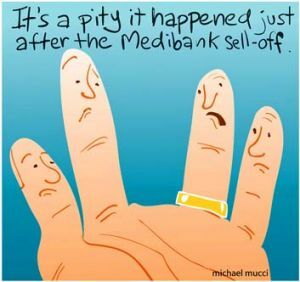 There is no problem with privatisation of Medibank per se. But this is an industry dominated by two major players: Medibank and Bupa with 60 per cent market share. It is an industry that has gone from zero not-for-profit players to a 70 per cent majority. Between 1995 and 2011 the number of funds shrank from 49 to 34. Still no problem. They will continue to gobble each other up, which bodes well for shareholders and executives. But for consumers, it means more power in the hands of a few. In turn it will spawn a plague of lobbyists creeping around Canberra pushing for ”reform” to a ”more efficient” risk-based system. They will not want to carry the sick. That’s a drag on profits and bonuses. It will mean increasingly ”captive” regulators as is the case in financial services where people slide seamlessly between government agencies and the big banks, accountants and law firms, shaping policy as they go. In the early 1990s there was a proliferation of banks. The second-tier banks were all swallowed up by the bigger ones. Now we have a system where the banks are concentrated, vertically integrated with the lion’s share of the financial advice market, too big to fail and guaranteed by taxpayers while gouging their customers. Health is deserving of greater vigilance. Across the for-profit health insurers, returns on capital have been in the order of 20 to 50 per cent, margins solid and customer bases sticky. Yet new entrants are rare, perhaps because of heavy regulation, risk of policy change and a mature market. A measure of profitability is NIB, which recently handed down an 18 per cent rise in first-half net earnings to $41 million struck on a 20 per cent lift in revenue. Total shareholder returns since listing on the ASX in 2007 are 370 per cent. Medibank made a pre-tax profit of $315 million last year. This is a revenue stream the government won’t be getting when it exits for its one-off $5 billion or thereabouts. The deficit has grown by more than $60 billion gross since Sir Tony and Sir Joseph have been in office. Much can be blamed on the previous crowd but it still renders this prospective $5 billion gain relatively puny. Longer term, the risk of this Medibank sale would appear to outweigh the reward. It is arguable that, had Commonwealth Bank never been privatised, we would now have a more competitive banking sector – and higher government receipts. Elsewhere, the ”new-for-old” infrastructure proposal looks quite sensible on the face of it. Sell stuff with known risks to the private sector, funding the state to build and hold stuff with unknown risk. Again, the way it is done is key. If you sell the ports for instance and the buyers ”do a Macquarie” – as in overpay for the Sydney Airport monopoly and run the asset too hard to get a return – consumers soon lose.